Nytherm PMB 103 is a warm-mix binder that makes it possible to reduce mixing temperatures and therefore it also reduces binder ageing when mixing. Furthermore, it allows for laying and compaction at lower temperatures. The product extends the working window and is ideal for night work. Road surfaces at approaches to pedestrian crossings, traffic lights and some junctions are common locations where vehicles often have to brake quickly or unexpectedly. As such, these surfaces benefit greatly from solutions that help vehicles come to a stop more effectively in order to reduce collision risks and improve road user safety. 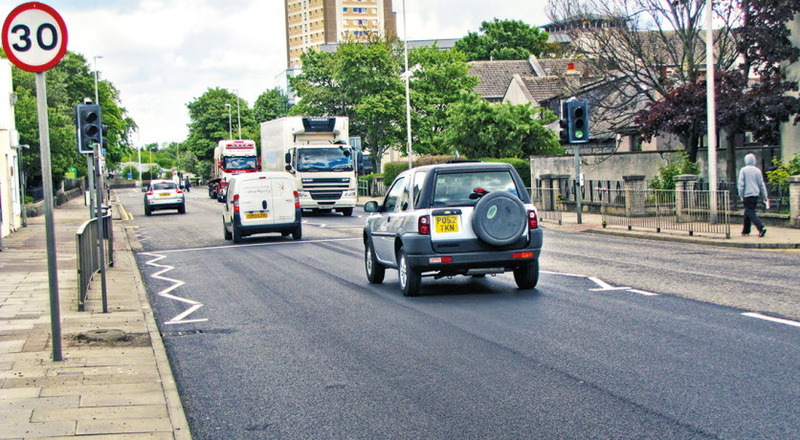 When Leiths (Scotland) Ltd was contracted by Aberdeen City Council to resurface an approach to a busy pedestrian crossing on King’s Street, they chose to use Nytherm PMB 103 in their newly developed alternative to High Friction Surfacing (HFS) called Rigagrip. Nytherm PMB 103 brings a number of benefits that are crucial to providing the best performing solution possible. When the binder is used in the warm-mix version of Rigagrip, a surfacing material with extended workability can be produced. Amongst other benefits, this allows better compaction in the formation of joints and of the mat. An 8 mm aggregate is used which permits a layer thicker than 30 mm to be laid. Additional benefits of Rigagrip using Nytherm PMB 103 include effective skid resistance, better compaction, greater density, and the durability to withstand high traffic demands. 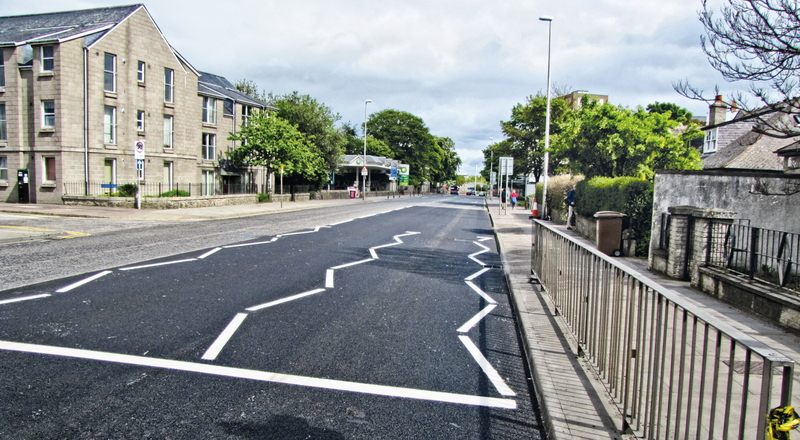 The project on King’s Street in Aberdeen was completed with minimal traffic disruption. The resurfacing was completed in just two nights, making the use of Nytherm an extremely cost-effective solution. Overall, the project has been a success and the cooperation between Leiths and Nynas has resulted in a high performing alternative to traditional HFS. There are two trial areas in Aberdeen where Rigagrip using Nytherm PMB 103 has been laid. A number of tests have been carried out on the material and grip numbers in excess of 0.71 have been recorded. Tests have also been carried out on HFS in the Aberdeen area, and on one site two sets of values have been obtained. The site was grip tested in 2010 and an average grip number of 0.70 was recorded. Thereafter, the HFS surfacing was replaced in the slow lane and an average Sideway-force Coefficient Routine Investigation Machine (SCRIM) value of 0.63 (grip equivalent 0.71) was recorded. These numbers compare well with grip values obtained (>0.71) from the Rigagrip sites. Download this information on how Nynas Nytherm PMB 103 was used at Kings Street, Aberdeen, UK, as a pdf.